Liquefied natural gas (LNG) is increasingly winning access to new markets and different applications, in particular transport, where it is carving out a niche in the small-scale sector. For many years, natural gas has been used as a cleaner fuel instead of heating oil and diesel in power generation and heating applications. But the cost, convenience and higher calorific values of oil products compared with natural gas have until recently shut it out as a transport fuel. 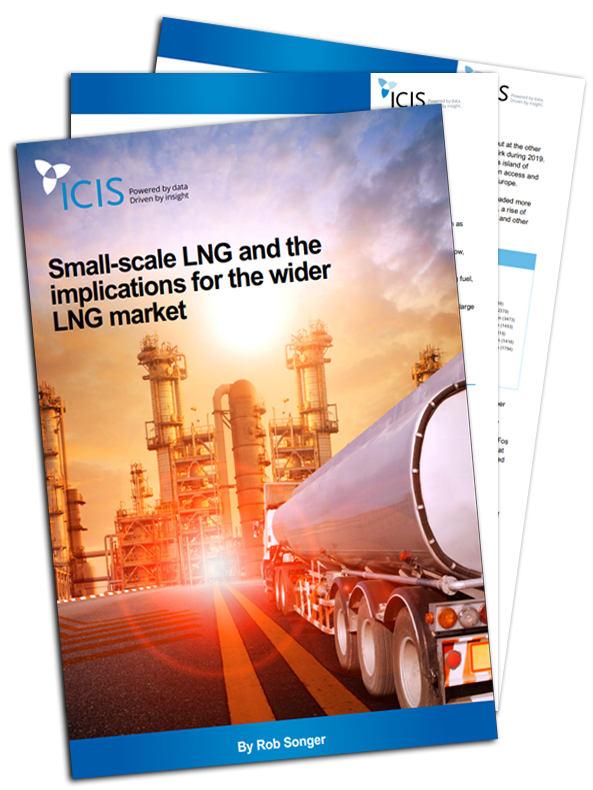 ICIS market reporter Rob Songer analyses the growing European small-scale sector as it becomes more mainstream and explores the implications that it will have for the LNG sector in an age when there is an increase in demand for cleaner fuels, ahead of the impending IMO 2020 regulations on sulphur content.